We focus on preparing students for Engineering/Medical Entrance and other national level entrance examinations such as JEE, AIIMS, JIPMER etc. 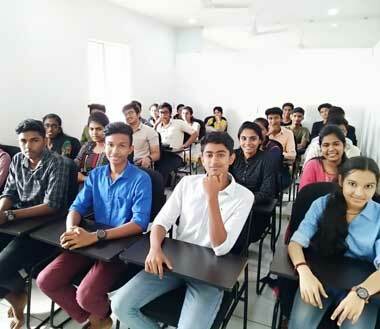 We are pioneer in Medical/Engineering entrance coaching with best faculty in Kannur. GenSmart provides special coaching classes for medical, engineering and other entrance exams such as JEE, AIIMS, JIPMER etc. For this, we are conducting both descriptive and objective examinations. We facilitate faculties for clearing doubts periodically. The Institute strives to provide educational excellence with a difference. Our aim is to provide quality education to achieve career success with professionalism. We help students to recognize their potential and facilitate them with the best educational tools, methodologies and mentors to realize it. We lay emphasis on selecting the right set of students and providing them with coaching and personalized mentoring to help them meet their goals. Batches will be shuffled periodically based on the performance of the students in GenSmart classes / Unit Test / Revision tests preformance report. Provides excellent classes with experienced faculty.